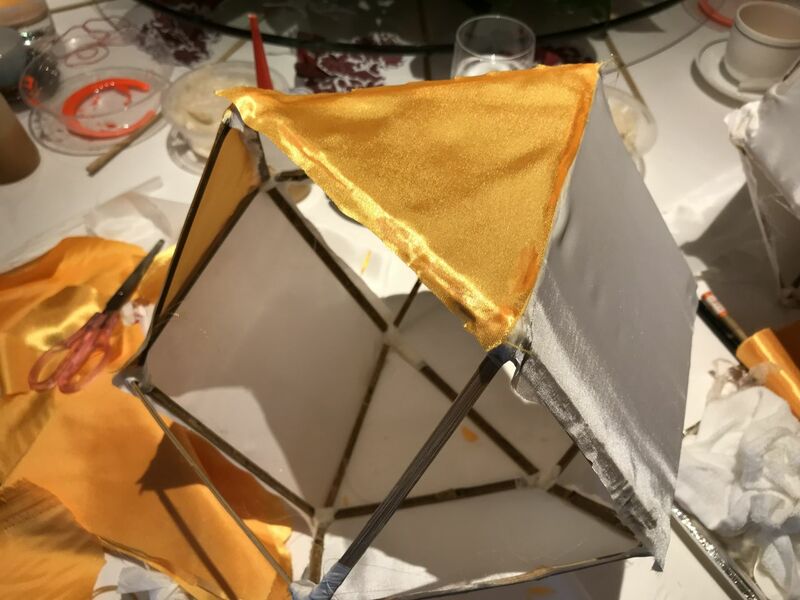 My almost finished lantern! Lots of work involved but fun to do! Mid-Autumn Festival is in late September, but I already received my first box of mooncakes on Monday! We're in the heat of summer and yet mooncakes are being promoted by restaurants and hotels at the moment. The Peninsula Hong Kong invited a few of us to learn how to make traditional lanterns for the Mid-Autumn Festival. Two years ago I learned how to make one using tissue paper, and this time we used cloth. 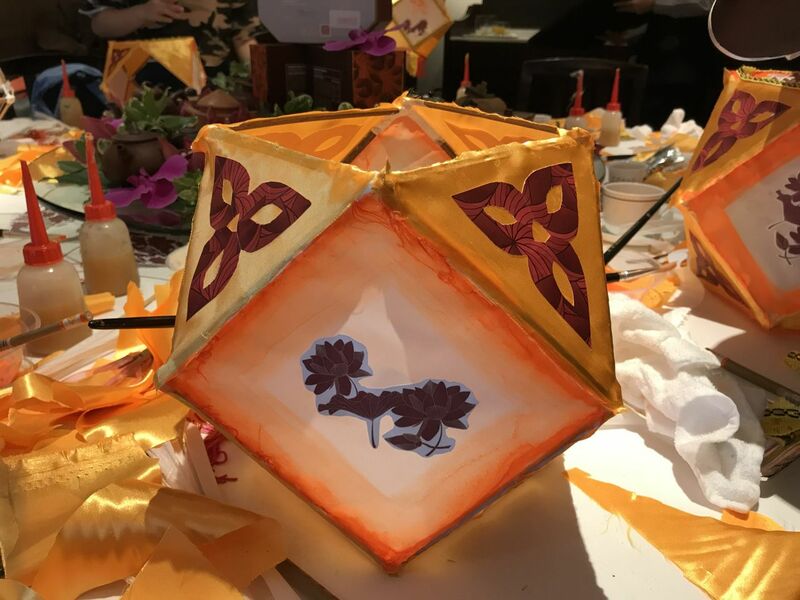 Our instructor, surnamed Yeung, is 40 years old and he claims there are only three people in Hong Kong who are considered masters in making bamboo lanterns and lion heads. He explained he is the third generation in his family to be in this field. First we took some bamboo sticks that had already been pre-bent at different points to create a hexagon shape. 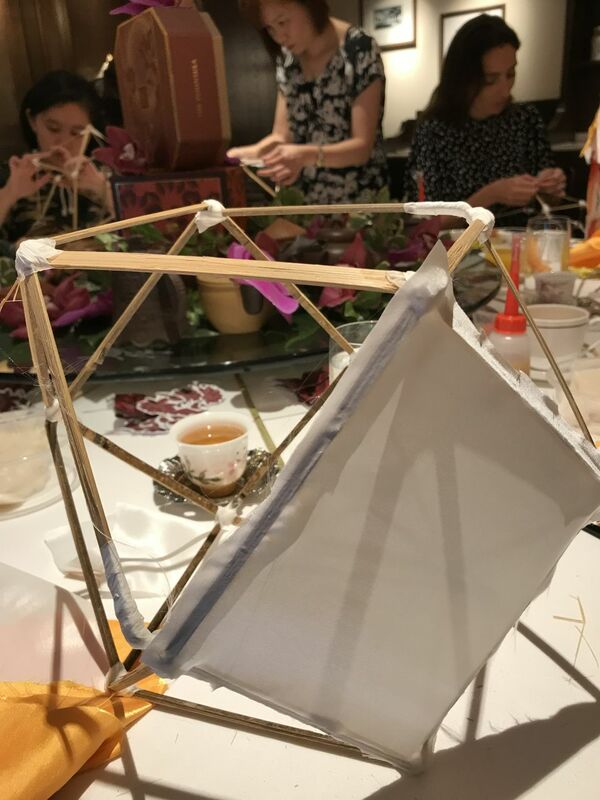 To hold both ends together, we used strips of tissue paper and a thick glue made with flour to secure the bamboo. We had to do four of these sticks. 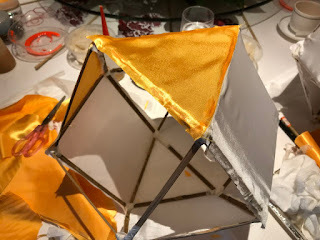 Then the lantern started to take shape putting two of these hexagons at right angles to each other and again binding them with the tissue paper strips and glue. Then another was placed on a diagonal to match up the angles to create triangles and then the other. Phew! That was hard work! 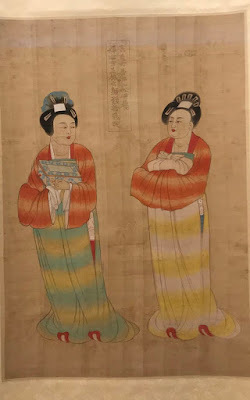 Now we had to start gluing on strips of fabric onto the frame. We applied a stickier kind of glue that got all over our fingers and needed turpentine to get off -- that's how strong it was. We applied glue on the bamboo frame on one square and then put a white piece of fabric on top and tried to stretch the material onto the frame as much as possible so it wouldn't look flimsy. Afterwards we trimmed the fabric as close to the edge as we could. Then we did the triangles in yellow fabric and repeated the process. Another major step done. 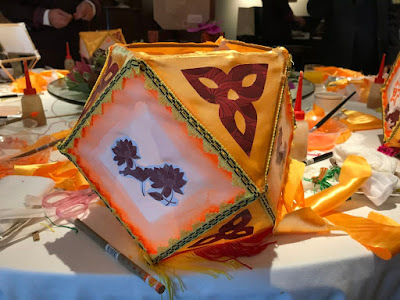 Next we were encouraged to decorate the lantern by painting the four squares with a bright orange paint and even paint Chinese characters on it. I'm terrible at calligraphy so I just stuck flowers that were cut out for us. Finally to make the ugly edges disappear, we were given a trimming to glue on all the edges and the lantern instantly looked much better. To finish it off, a fringe trim at the bottom and voila! A lantern! When we built the lantern, there was no frame for the candle inside so it's literally only a lantern shell. But it was fun nonetheless! It took over two and a half hours to make it! Reality Check on "Ethnic Cleansing"